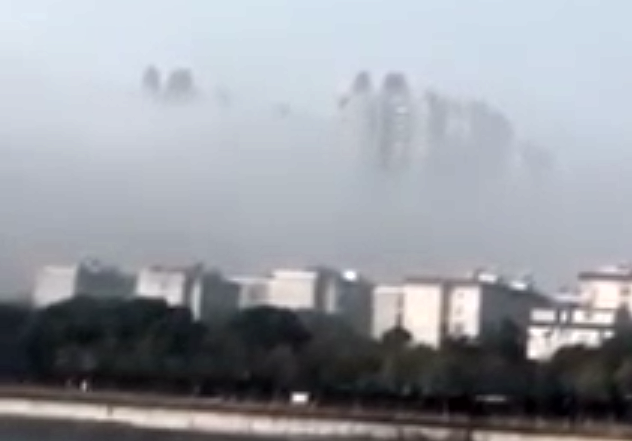 UFO SIGHTINGS DAILY: City In The Clouds Seen In China Again! Jan 15, 2017, Video, UFO Sighting News. City In The Clouds Seen In China Again! Jan 15, 2017, Video, UFO Sighting News. 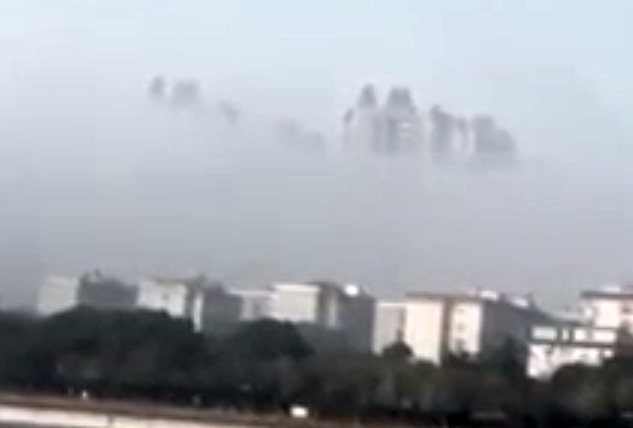 This floating city in the sky was recorded over Yueyang, China a few days ago. That is a city of about 1 million people so I am sure loads of people noticed it. I believe that this is a UFO mothership that is using the China smog problem for its own benefit so that it can make a rare appearance by flying low and doing some serious research on the humans in Yueyang city. This is not the only time that such a strange event has ever occurred. 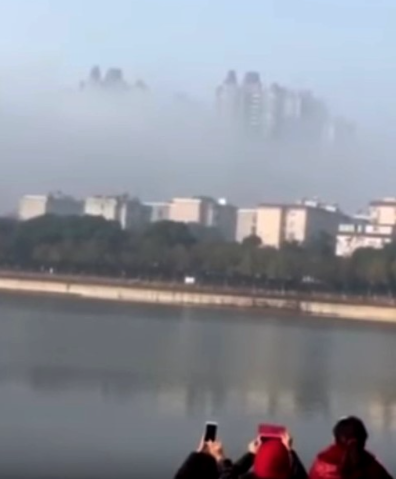 It has been seen several times a year in China over various cities, last time a floating city was hovering above water. Also another floating city was seen in the sky that was 5 times bigger than the city below and very high up, looking more like an ancient castle than anything else. Aliens are highly interested in China as you can see.